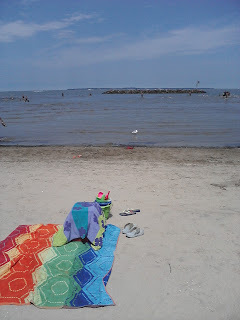 One of the days we spent in Sandusky we decided to go to the "beach". 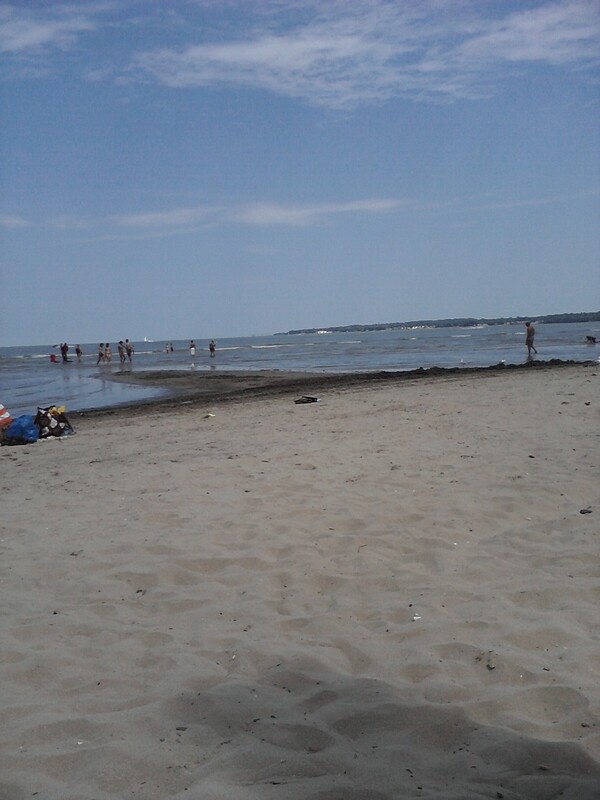 In this case the beach was actually on Lake Erie. 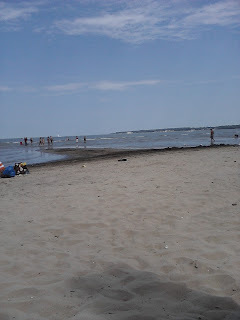 We were pleasantly surprised when we found East Harbour State Park. They have all kinds of beaches, mostly they are rocky. but we found the swimming beach located in the state park. I have to say it reminded me so much of being at the ocean. Waves, seagulls, the water was pretty warm too. The water wasn't too deep. We stayed pretty far out there too. 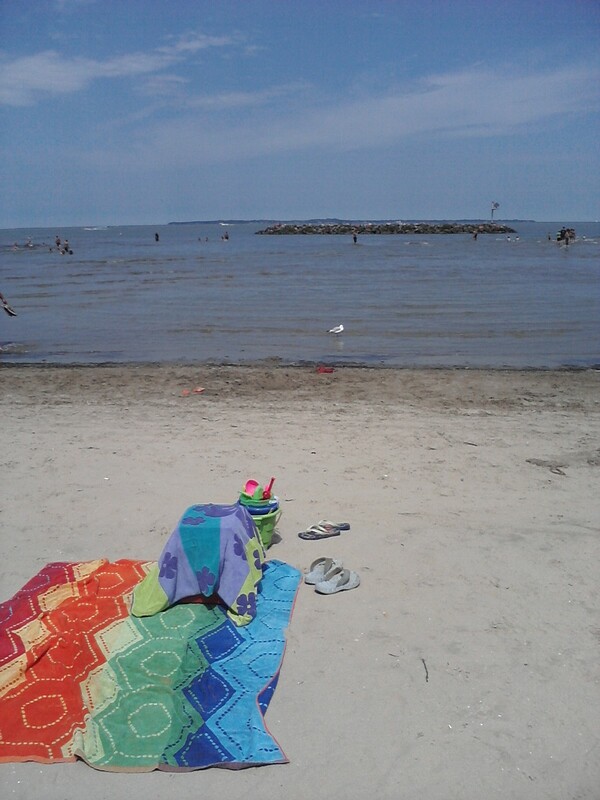 We were close to the buoys that separate the swimmers from the boaters and it was about up to my neck. When the boats came by, it really was like being in the tide. It was a lovely day. I managed to escape the seagulls little presents. I am glad, wouldn't want that joy two days in a row!